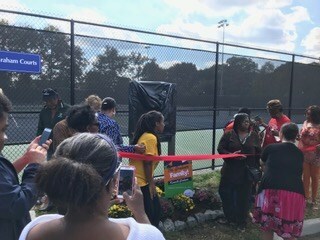 South Orange, NJ September 29 - The NJ Region held its Family Day Festival in partership with the Kenny Graham Court Renaming and Tournament event, which took place at the Baird Community Center on Saturday, September 29. 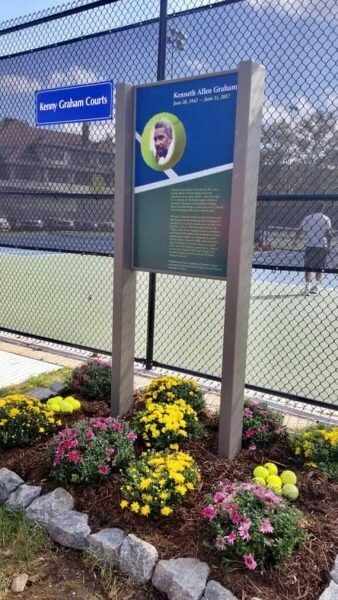 The event was held in honor of Kenny Graham, a long-time resident of South Orange and a widely-admired tennis instructor at the Center. 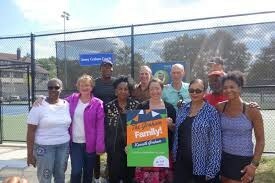 It was organized and run by Board Member Bob Bynum, along with Members of the South Orange Board of Trustees. 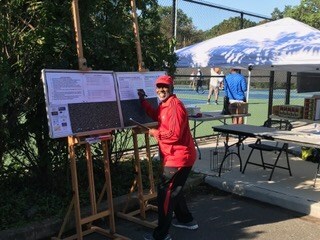 On hand to assist were NJ Region President Lou Wiggs, along with Board Members Ken Goldsmith and Ron Thomas, as well as Adult :League Coordinator Hazel Rodney and NJ Tennis Service Rep Quacey Balleste. 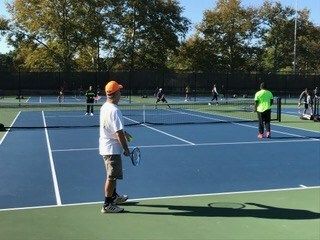 It was a well-attended event, with exciting and competitive matches, on-court instruction, plenty of food and refreshment for the players and volunteers, and a Jazz band to keep those toes tapping! 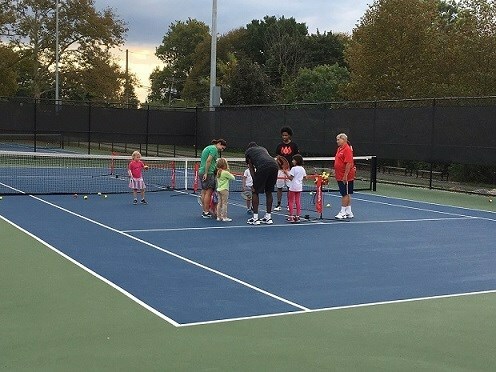 We want to thank everyone who contributed to the event as a volunteer, player or attendee - we appreciate your support of the game, and we look forward to seeing you again soon!